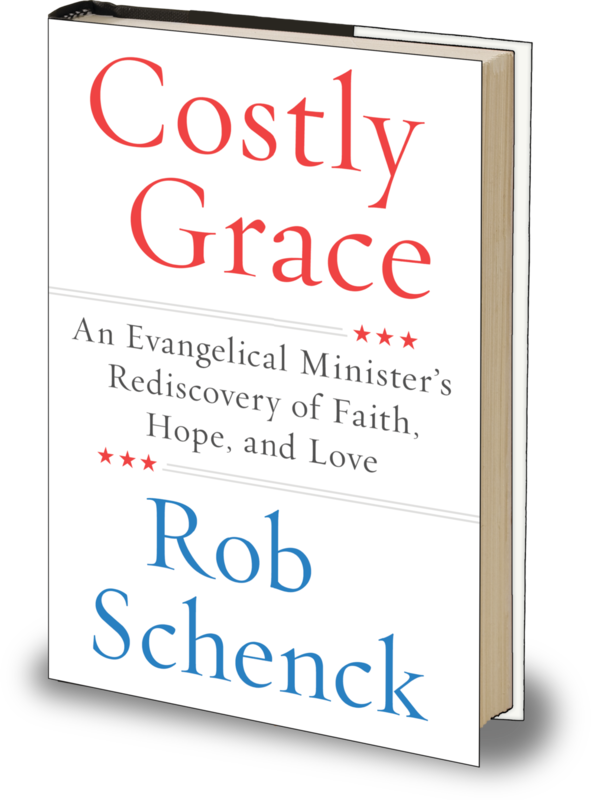 “This is not the book I intended to write; it’s the book I needed to write,” Rob says of Costly Grace: An Evangelical Minister’s Rediscovery of Faith, Hope and Love. In the pages of Costly Grace, Rob takes readers on a journey through his childhood in a nominally Jewish home and his conversion to born-again Christianity at 16, to his marriage at 18, his ordination at 21, and decades spent at the epicenters of evangelicalism and political power in Washington, D.C. This raw, candid and searingly honest look at Rob’s journey to the religious right follows a 30-year trajectory that would leave him spiritually disoriented and badly alienated from the people he most loved. But it offers an amazing transformation. It would be through the writings of Dietrich Bonhoeffer, the heroic German pastor martyred by the Nazis, that Rob would find his way home—literally and figuratively—rediscovering the power of faith, hope and love. Costly Grace is his amazing story . . .